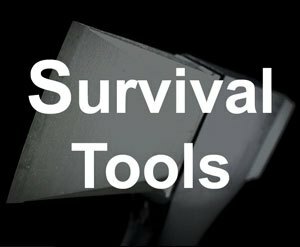 Having the best tactical backpack can be awfully handy in a wide variety of situations. Whether you are a single day hiker, shooter, hunter, fisherman, or backwoods trekker, investing in a durable backpack like this is a wise decision. Tactical backpacks are great because they can hold heavy gear, allow you to add additional packs on the outside, and hold up to wear and tear. The only issue is that there are a ton of packs out there that claim to be tactical. That's why I did a ton of research to find which ones really are the best of the best. 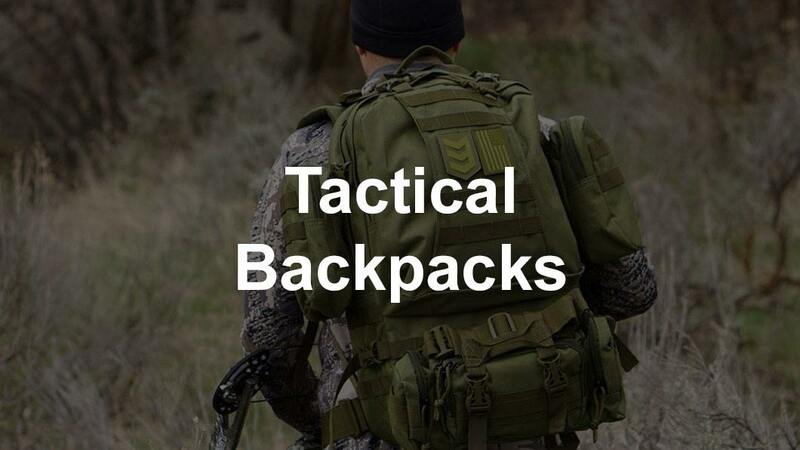 In this article, we will look at the top 10 best tactical backpack reviews for the packs that are available on the market and have a stellar track record of performing in the field. At number 1 on the list is the 5.11 Tactical Rush 24. The bag is optimally sized and excellent quality. The main compartment of this pack has plenty of room and carries enough gear to get you through 24 hours in the field. 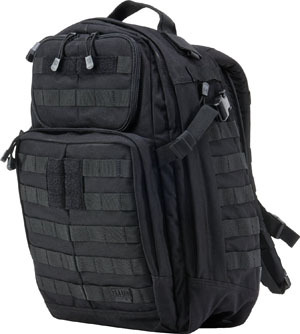 It is also available in several color schemes, and it is one of the more popular black tactical backpacks. This is a rugged and durable pack made from 1050D nylon and treated to be water repellant. 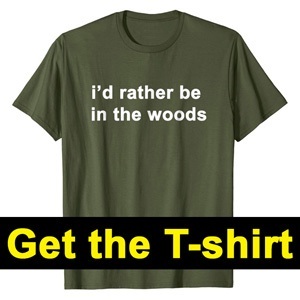 You can be confident that it will last for years of outings. We like the reinforced grab and go handle that will hold up even with heavy loads. Overall, this military pack contains over twenty compartments for storing gear. The front storage compartment has an extensive set of panels for the organization of smaller gear. Interior pockets are mesh allowing you to find gear quickly. The pack also features two external compression straps to help regulate pack size depending on the amount of gear used. This pack also features a quick stuff-it compartment with a draw cord. The comfortable pack features large shoulder straps contoured to distribute weight evenly across your shoulders as well as an adjustable sternum strap to reduce shoulder stress. These features make extended trips much more comfortable. 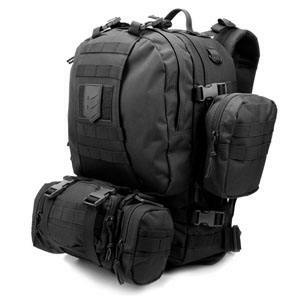 This pack also uses a MOLLE (modular lightweight load-carrying equipment) and SlickStick platform that allows you to attach more pieces of gear and storage devices directly to it on the outside. 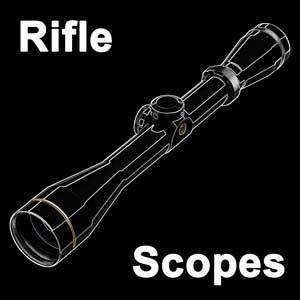 Simply stated, it provides lots of customization options to fit your particular needs. Next up is the little brother of the previous pack, the Tactical Rush 12. This back pack is available in several color schemes as well. It is also made of 1050D nylon and treated to be water resistant. There are 16 compartments including an internal panel for the organization of small gear items. This pack is compatible with a 60 ounce hydration pack and features a fleece lined sunglass pocket. It includes an incredible amount of room in its main compartment, though it will be less than the 24 or 72 models as it is designed for single day outings. The pack is also MOLLE and SlickStik compatible so you can customize the pack with more storage compartments and gear attachment as you see fit. Exterior compression straps reduce or expand the main compartment. It is extremely comfortable to wear with wide, contoured shoulder straps. The shoulder straps are adjustable as is the sternum strap by width and height. 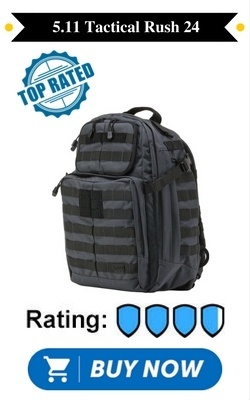 If you want a nice small tactical backpack​, then this is the right choice. 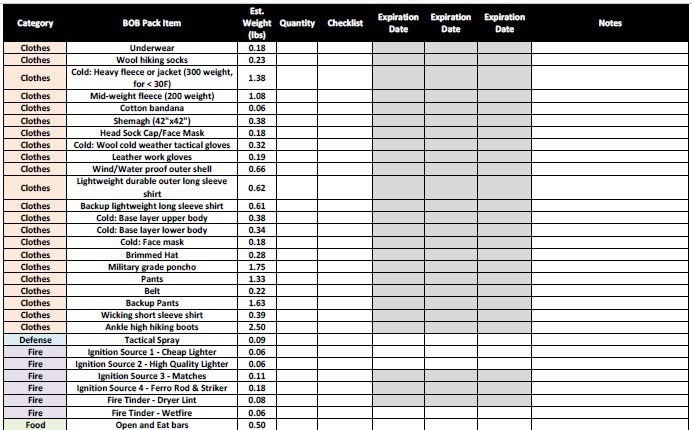 For folks that need enough gear for 3 days, here is the 5.11 Tactical Rush 72. As with all of the Tactical Rush packs, this highly durable model is made of 1050D nylon with a water repellent coating. This backpack has an incredible amount of room and compartments. Because of its unique design, you are able to carry enough gear to last you 3 days in the wilderness, making it a great BOB pack. 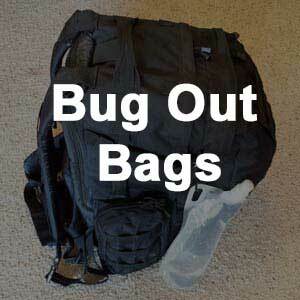 You also have a padded hydration pack and a large exterior pocket to quickly store excess gear. 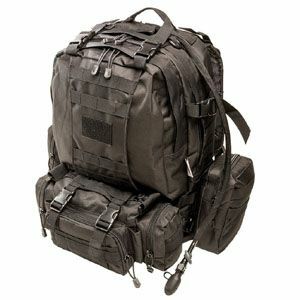 This pack also has a MOLLE platform in case you need additional storage. 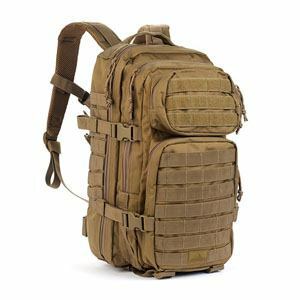 Overall, this rugged pack can carry a large amount of equipment over hundreds of outings and rides comfortably with reinforced handles and stitching as well as wide and contoured shoulder straps. Along with the large main compartment and shove it pocket, a top exterior organization pocket and two side gusseted zippered pockets with high-quality zippers provide additional storage. 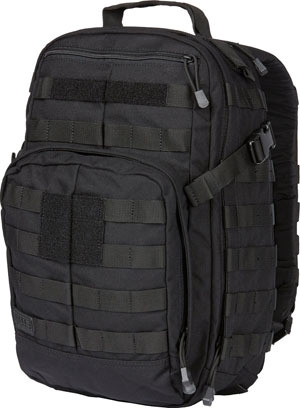 The Tactical Rush 72 is a heavy duty backpack that carries heavy loads easily. The internal frame insert provides incredible back support and helps the bag keep its shape for better weight distribution. 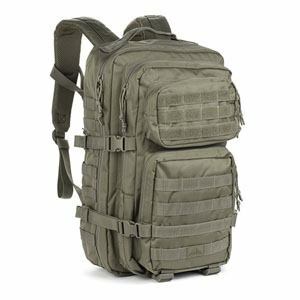 This MOLLE bag is often considered the best military backpack. 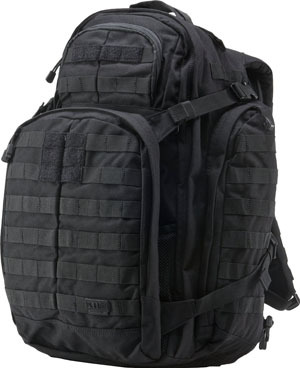 If you are on a tighter budget, but want a larger bag, the total volume of this Mil-Tec backpack is an incredible 37L. This durable pack made from 600D black dyed polyester contains two main compartments that offer a lot of room for gear storage. It also has two front pockets that are highly organized with several panels with meshed zipper pockets. All pockets are opened and closed with sturdy two-way zippers. The pack is also PVC coated giving it water resistance and making it extremely easy to clean. 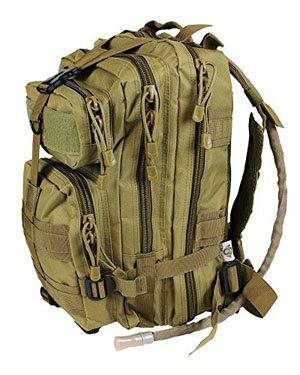 There are various MOLLE attachment points as well as loops and D-rings on the shoulder straps for plenty of extra gear attachment points. A built-in velcro pocket allows the use of a hydration bladder. 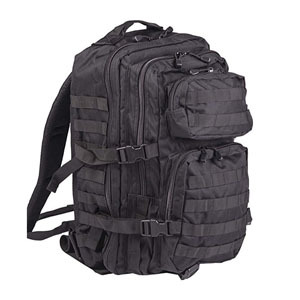 This pack is comfortable in the field and has multiple adjustment points as well as a padded back. Given its price, this pack is the best tactical backpack for the money​. If you are looking for a backpack that comes with additional add-on packs, check out the Monkey Paks tactical. There are several color schemes available for this pack. It is made from 600D nylon material and also built with a MOLLE webbing platform allowing for customization in gear and add-on attachments. The pack has multiple D-loops available as well. There are two main, generous storage compartments and two detachable storage areas. The pack also features a detachable, four pocket waist pack which can come in handy. All zippers on this pack are heavy duty with large teeth that will not snag and are extremely quiet. This tactical bag comes with a 2.5L large mouth BPA free bladder allowing you to bring a considerable amount of water without taking up storage space. The bag rides comfortably on your back with wide, adjustable shoulder and waist straps. Monkey Paks offers a smaller version of their tactical pack. What's great is that it is a smaller and more compact version of the previous Monkey Paks backpack, but it still touts the larger models durability and ruggedness. This pack is available in several color schemes to match your preferences and your environment. It is crafted from heavy-duty 600D water resistant nylon. Though smaller, this pack still boasts a 2.5L hydration system that saves a lot of storage space. It has five separate compartments with many interior organization pockets for your gear as well as a large main storage compartment. There are also multiple exterior compression straps that allow you to further compress or expand the main compartment size for more convenient carrying. Red Rock Outdoor also offers a great pack for those on a budget. This backpack is available in several different color schemes. The compact, lightweight tactical pack still boasts plenty of storage room with a total volume of 20L. Not only is it compact, but it is also highly rugged as it is made from 600D polyester. This pack features two large main compartments with various interior panels for added gear organization. 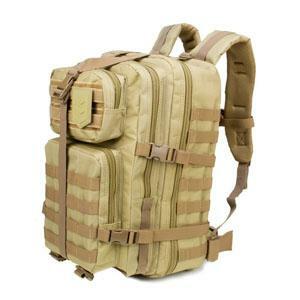 It is designed with a MOLLE platform for added gear and storage attachment. The pack is also compatible with up to a 3L hydration system. We love the comfort provided by this bag. It has fully adjustable, contoured, and padded shoulder straps that feature multiple D-loops for added attachment points. The fully padded and ventilated back panel makes this one an excellent pack for warmer environments. The Velox II pack is made from 600D weather resistant nylon that stands up to the elements and serves as a reliable bag for many outings. It also uses a reinforced drag handle. 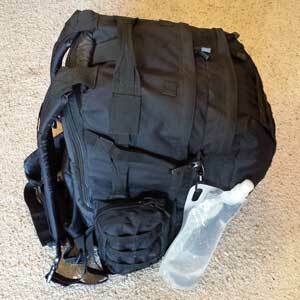 This pack is MOLLE compatible and can take on additional storage units and gear attachments. Along with this platform are several D-rings on the shoulder straps. The pack uses exterior compression straps along the sides and top to better regulate interior space and provide a more convenient and comfortable pack depending on the amount of gear. The large clam-shell opening system for the main compartment allows you to store, find, and remove pieces of gear from the pack easily. Besides the primary compartment, there is also a smaller, secondary compartment. Various color schemes for this particular case are sure to suit your preferences. This pack offers very generous storage space of 1,500 cubic inches. Along with the main compartments are two front pocket storage areas that utilize integrated nylon organizers for small gear storage. The Velox II is extremely comfortable and can be worn for extended periods without causing fatigue. It is hydration compatible and features an EVA molded and vented back for extra comfort. Red Rock Outdoors has a larger bag for just a little more than their regular assault pack if you need the space. This pack is made from 600D polyester. 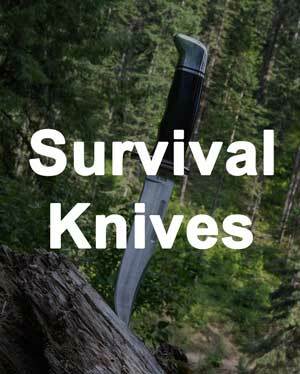 A reinforced carry handle as well as tight stitching in key areas adds to its durability. It also features a padded and vented back panel that will keep you from overheating and provides an extra layer of comfort between yourself and stored gear. This large backpack contains an enormous amount of storage capacity. It also uses several external compression straps to modulate space. Another great feature is that it is compatible with up to a 2.5L hydration system. You will be pleased with the comfort of this pack, even when carrying heavy loads. The adjustable and contoured padded shoulder straps evenly distribute weight. The waist and sternum straps are also easily adjusted for the correct fit. If you need a 3 day pack, then check out this option from 3V Gear. The Paratus is a great option for a long outing. It offers tremendous storage with nearly 3,000 cubic inches of total space and it's modular. You can break down parts of the pack to better suit your situation. The central pack features two main compartments. There is also a rapid deployment waist pack with three zippered compartments as well as two detachable side packs. On top of the ample storage space, this very rugged pack is made from 600D PVC layered nylon with double stitched seams and a reinforced drag handle. With such a large pack that can carry heavy loads, it is also extremely comfortable. The contoured shoulder straps do an excellent job at distributing the weight evenly.